Great post. I couldn’t agree with your comments more. We recently switched to FedEx from UPS and USPS and the service and # of issues has dramatically dropped. Quick question, do you have any examples of websites with great Shipping Policy sections? Ecommerce include reducing both the time and personnel required to complete business processes, and reducing strain on other resources. Does anyone have suggestions or comments on handling a customer’s over or under payment of shipping? Amen to the “ship today” principle. What exactly WERE you doing those 4 days it took to put out the door? A question I have had many times. Sometimes a simple “this will take 3 days to put in a box” is also an answer people will take. Suprises are the worst thing you can do to your customer, ever. Great post. one of the very few that deals with the real pain of eCommerce i.e Delivery/Shipping. Please publish more content on this topic. Lets discuss various options in details. I’m sure a lot of people have a lot of ideas in their mind. Nice Post, I have agree with you. Thanks for sharing all about the e commerce websites. Its very useful. I package and send everything the same day or following morning along with tracking details, and I always receive a lot of great feedback on speed of service and delivery. We offer free delivery and think it is very beneficial. I see way too many shopping cart systems or websites that don’t display shipping costs until you have been right through the checkout process. At this stage you may not then be willing to pay the added shipping cost. I find this especially annoying on lower cost items. If I buy a $20 t-shirt but shipping is $10, I’m very likely to cancel the transaction. I don’t want to pay 50% of the cost of the item on shipping. However if the item was $30 with free shipping, I would very likely buy the item. People love a bargain and hate to feel they are being ripped off. Wow, I never realised UPS were *that* bad! Duely noted. 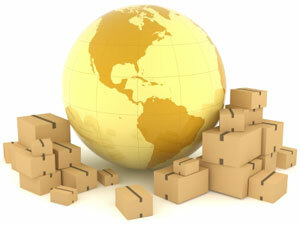 You can even save more on FedEx, DHL and UPS service. I use ShipNex Shipping company. They offer 60% additional discount on FedEx, DHL price. You can also create shipping labels online. 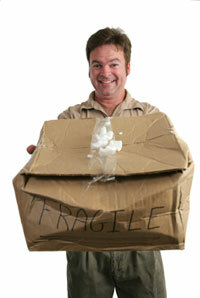 Best Shipping Practices for E-commerce Websites are the additional advantage. It really help to increase the sales as well. Good Post Related to E-commerce Websites, Thanks for the share. “Shipping costs make people feel like they are being gouged, so there’s psychological motivation when shipping is very cheap or free”- so true, thanks for the post. USPS are useless. I live in the UK and recently ordered some items of clothing from the USA online. This happened 6 weeks ago and I am still yet to receive my items I have been following the tracking but my package seems to stay in 1 place for days. Wont be doing it again. Ecommerce UK is a far more efficient system and I will still to that from now on. What if you buy from a 3rd party company, like for instance Alibaba and don’t receive item for weeks and you paid big $ for express 3 day shipping? And they repeatedly got your address,telephone number wrong…also never contact you after it’s finally sent out 3 weeks later…Then, they ignore you when package is lost because of their mistake in labeling? Yes, Ups and Usps- even FedEx are very iffy but they usually are OK if the seller puts down correct info and you can’t go wrong w/Paypal–It’s right there. As a buyer, you never want to ever go back. Ever. I think this is a good article, but as a customer who’s having to send back (paying A LOT of $ for shipping) an item,I think it’s a bit one-sided. And just maybe I’m very mad? Hey, I know a lot of time has passed since you wrote this article, but I would just like to point out that a blogger at this site: http://designmodo.com/shipping-practices-ecommerce/ has totally ripped you off and published your exact content as if it were their own. Just wanted to let you know, because your post is awesome, and as a blogger myself, I hate it when people steal my work. I agree “Be very cautious about offering free shipping”, Good advice on shipping practices to be accomplished. Thanks for the insightful article! The points covered here are definitely ones that you won’t easily find elsewhere. And anyone who struggles with order processing should check out http://dokity.com/, a free app that simplifies the exchange/syncing of data (orders, product info) with business partners (suppliers, 3PL companies.